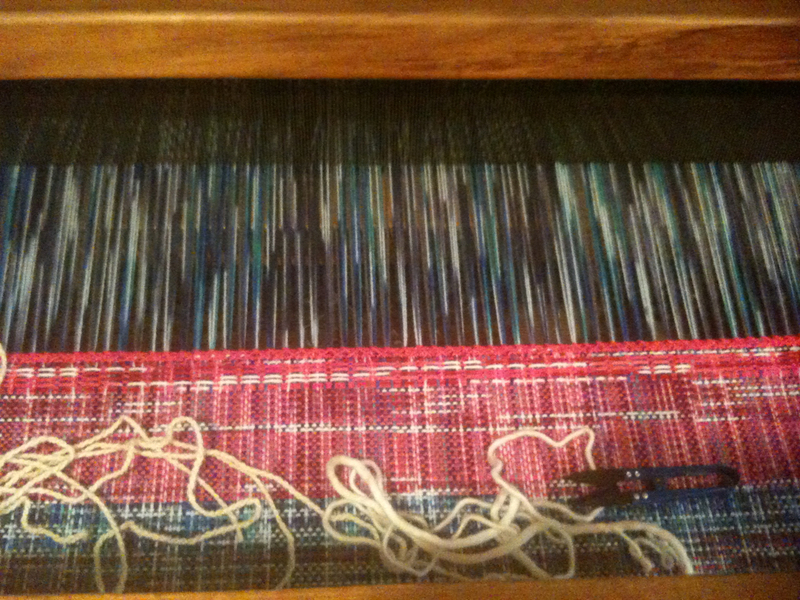 For a while now I’ve been wanting to try the waffle weave on my loom, and my sisters soon-to-be born twins are a great excuse to learn how to do it, and so this week I warped up my loom in a waffle weave with multi-colored blue yarn and got to it. 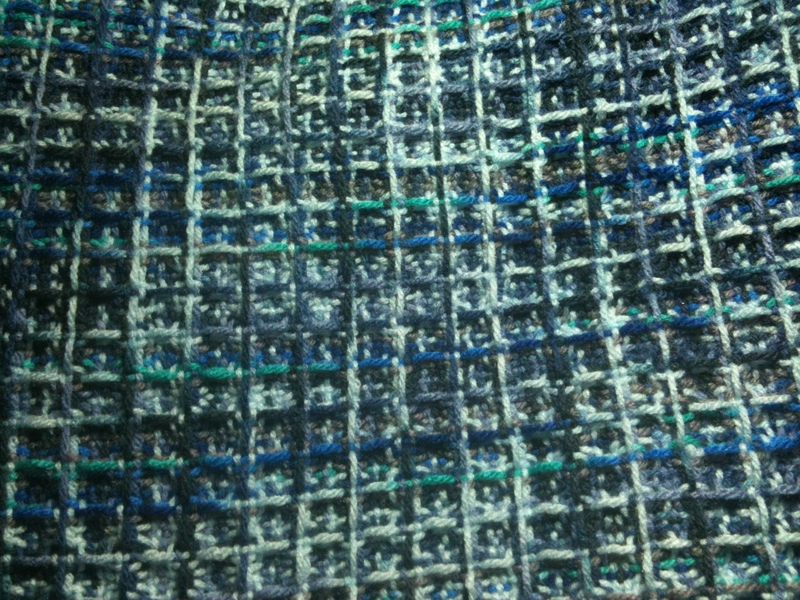 It was a very easy and quick weave with a floating selvedge. 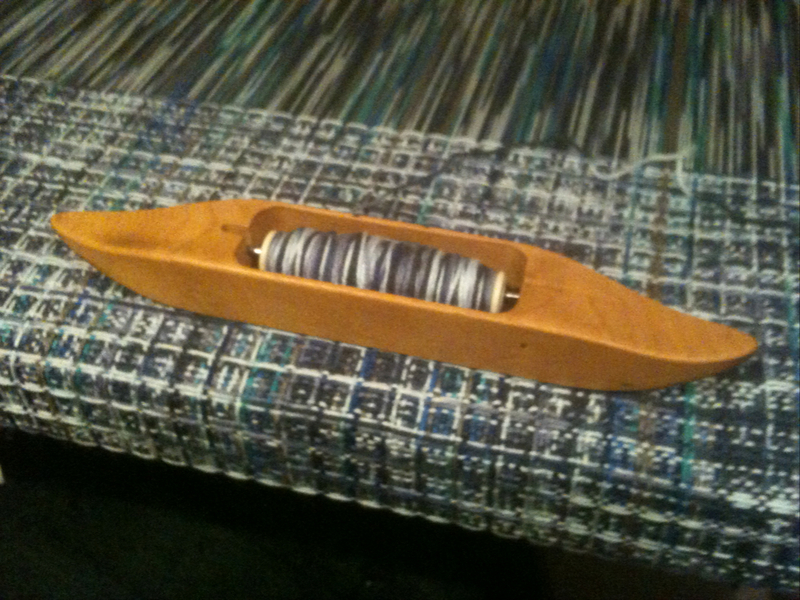 One of the things I enjoy most about weaving is the fact that I have boat shuttles and it makes weaving so much easier and quicker. After I had woven enough for two blankets, I still had a few inches of warp left over, so I quickly wove off some plain weave with pink and blue. 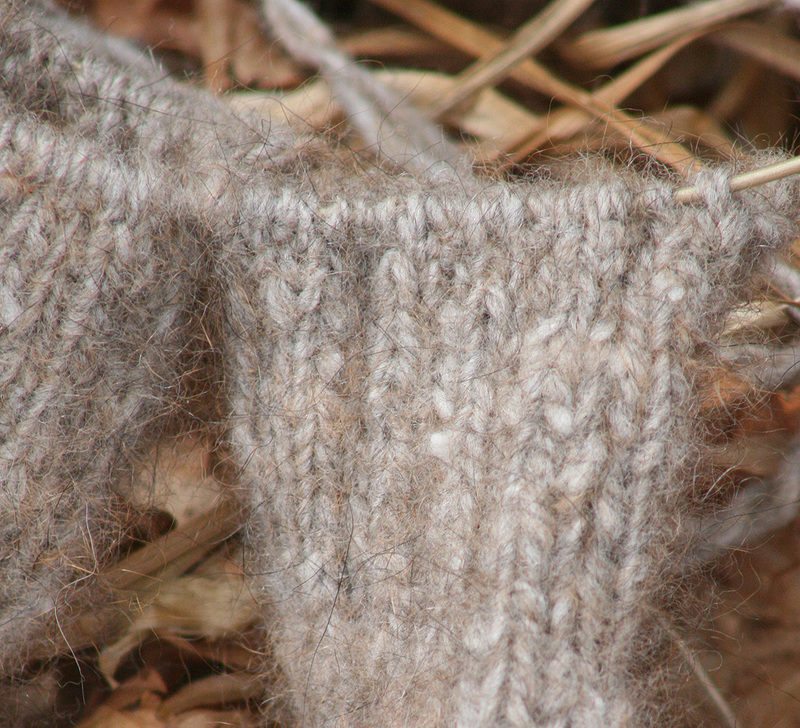 I love to dabble in most crafts and felt an urge to do some knitting, which I normally “earn” by spinning yarn first. This way I don’t end up mid-project and find that I am short by 100 metres or so of yarn, which produces an endless amount of frustration, often to the point of abandoning the project until my annoyance has simmered to a reasonable level. 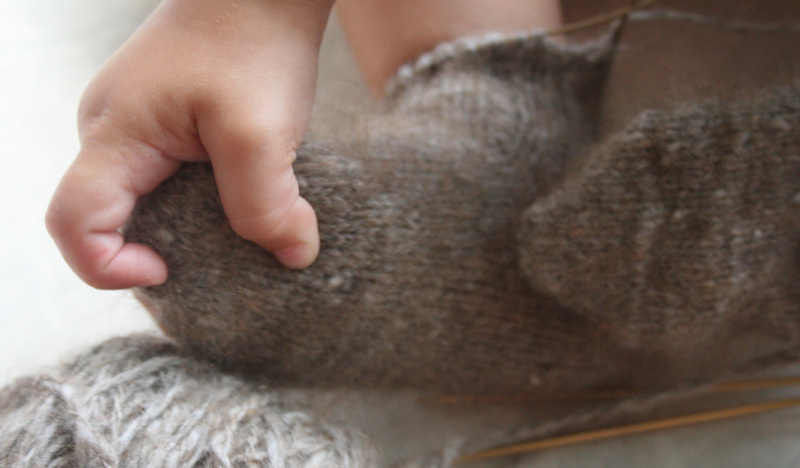 The project that I’m working on at the moment is socks for my daughter Emmaly to wear once the winter season has hit and her mean and dastardly mother has dragged her to the ski slopes to shiver her feet off, and a receiving blanket for each of my *soon-to-be* nephews. 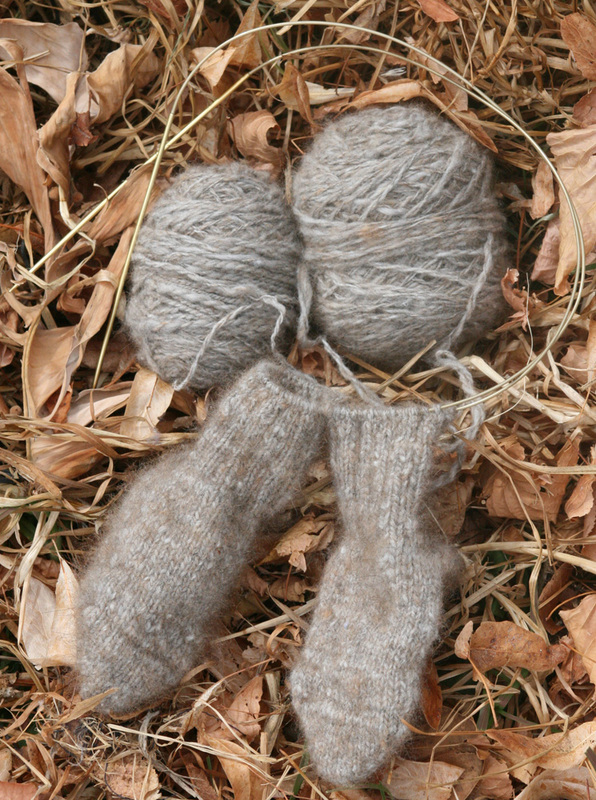 The socks are going to be knitted out of a random mixture of merino/possum and merino/silk which I happen to have on hand in 1.5kgs of fibre and 500 gms of fibre respectively that I am trying to spin fine but still durable, and the yarn for the receiving blankets is being done completely out of the merino/silk. The feeling of the merino and silk as it runs through my fingers is almost sumptuous, and sometimes a little too soft as it can catch on little bits of dried skin or any damp patches on my fingers (like when you take a sip of cold water and moisture has beaded on your fingers). 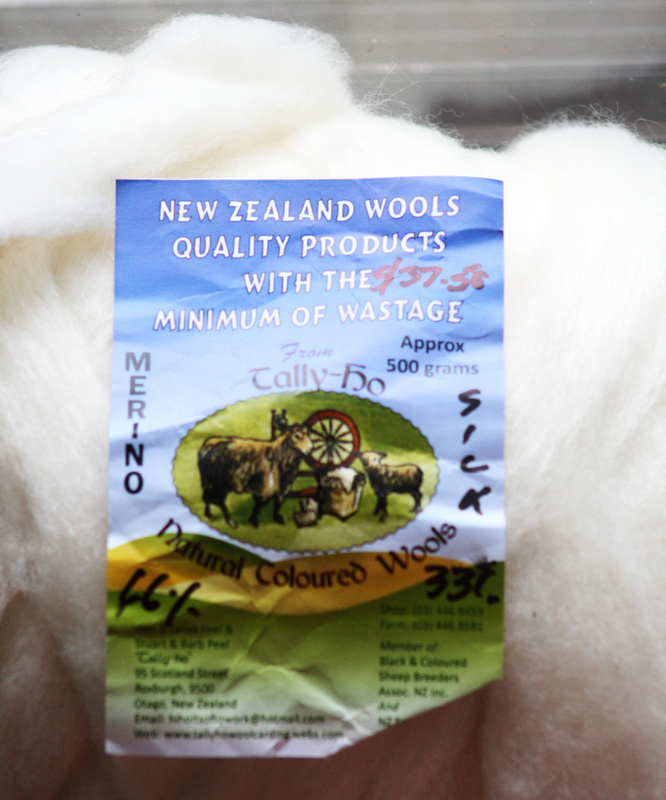 I purchased my fibre both in store and online/email from a company called Tally Ho, and it is an amazingly affordable compared to prices that you normally find in wool stores. I first came across this company at the Creative Fibre Festivai in Timaru several years ago and loved their affordable prices and lovely range of fibres. 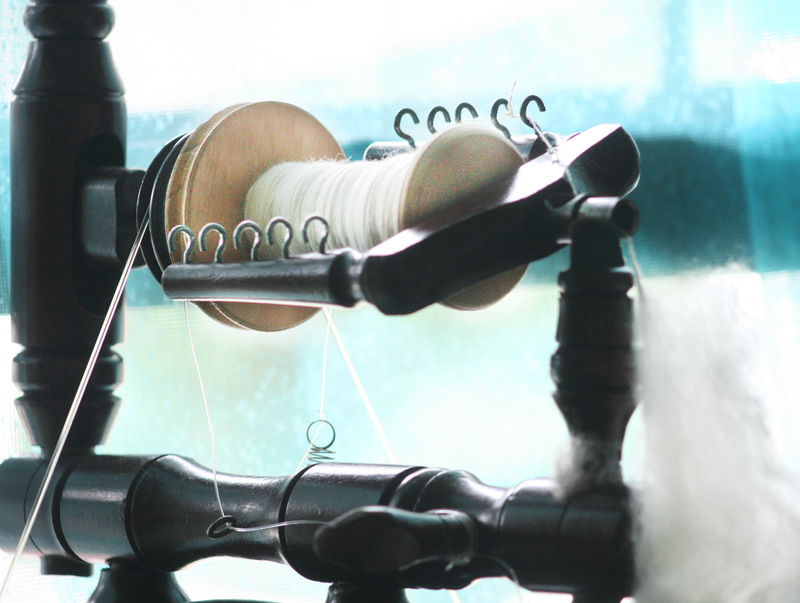 Once I’ve spun my yarn, I wind it using my wool winder into cute little cakes. 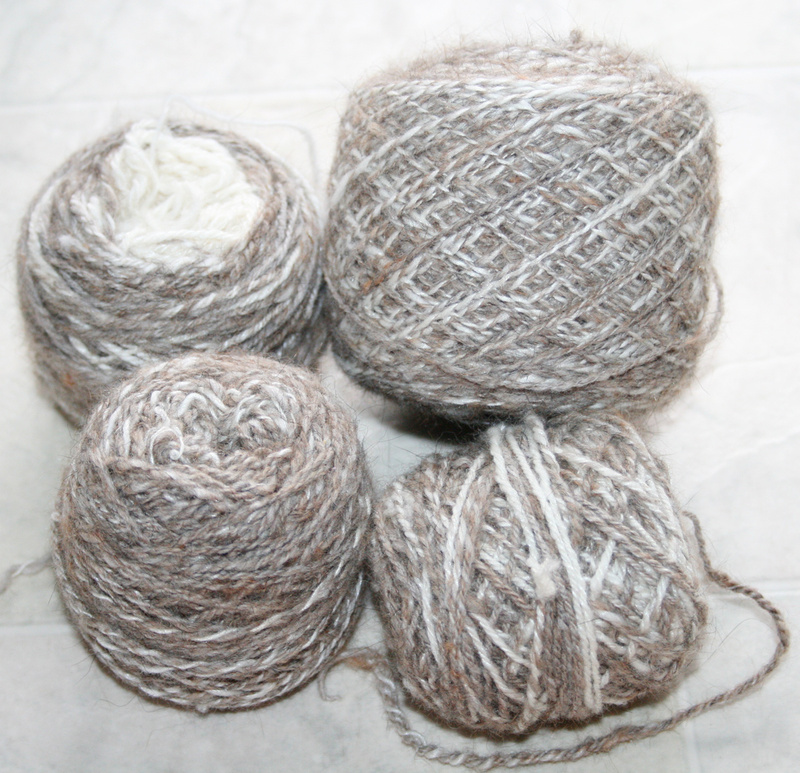 — Please note, that if you are learning to spin yarn/wool, the correct procedure is spin, wind into a skein, wash, lay flat or hang to dry, and THEN wind into a cute little cake. Well, I’d better go and deal with my toddler who is screaming baby obscenities at me – Kayleigh.